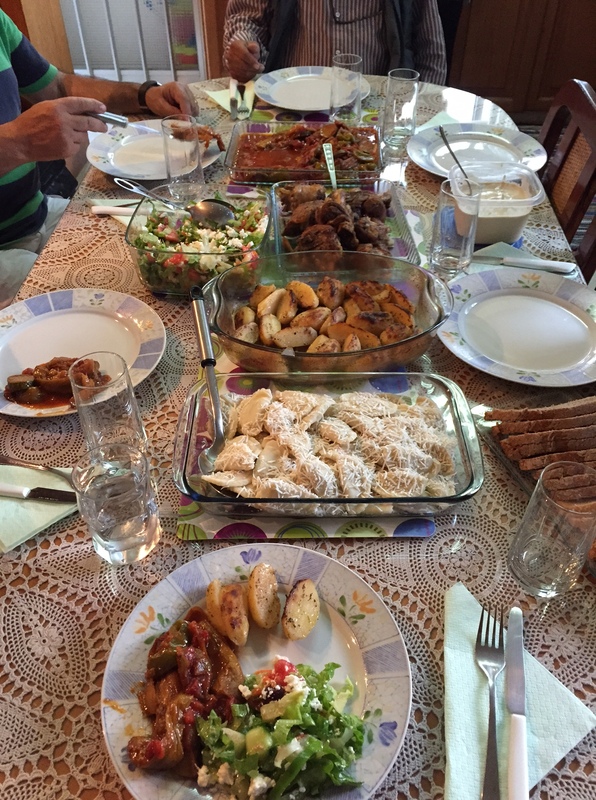 On a sweltering hot day on the 14th of July 2015, I visited the village of my yiayia (grandmother) – Polis Chrysochous. I interviewed my Aunt Anastasia, who told me some fascinating stories of what the village was like both before and after the 1974 war. Anastasia was born in 1949 and remembers making flaounes (Cypriot Easter bread) and giving it to her Turkish Cypriot neighbours and friends during Easter; after Ramazan, when the Turkish Cypriots celebrated Bayram, they would give her family special Turkish bread. Anastasia remembers going on a school trip to visit the world famous Hala Sultan Tekke Jamii (mosque) in Larnaka, and that Turkish Cypriots would often visit the churches in Polis Chrysochous to attend events such as weddings and funerals. Anastasia told me that when her parents got married, there were many Turkish Cypriot koumbaroi (groomsmen/bridesmaids) at the wedding. She also told me that her yiayia, who Anastasia was named after, was the milk mother to many Greek- and Turkish-Cypriot children. She said that in those days, if two people were baptised by the same person they could not marry. Therefore, godparents would often only baptise children of one gender. When I asked her about growing up with Turkish Cypriots she said “we played together with dolls”, referring to her childhood female Turkish Cypriot friends. Anastasia’s father fought in the Cyprus regiment with both Greek and Turkish Cypriots during World War Two – in Libya, Egypt and Greece (Crete). Anastasia is highly educated, and is a trained teacher. She worked with Turkish Cypriots before the war broke out in 1974. She was devastated when the Turkish Cypriots of Polis Chrysochous left the village; however she recalls that ten Turkish Cypriot families moved back to Polis Chrysochous after the war and she was the children’s school teacher. The Greek-Cypriot state school that she taught at – Gymnasium Polis Chrysochous – “accepted everyone”. Not only were there Greek- and Turkish-Cypriot school children, there were also Syrians, Kurds, Afghans, Germans and Brits who attended the school. She told me, with her hand on her heart, that she loved her Turkish Cypriot students as much as her Greek Cypriot students, and that she does not recall the Turkish Cypriot children encountering any bullying or discrimination while they were at the school post-war. Later that day I interviewed Paraskivou in Polis Chrysochous. I had met her son Dimitri many, many times, as he was the owner of Savva’s café – a place that my family and I have eaten at on around 20 occasions. I asked my husband to speak to Dimitri in Greek and ask him whether he knew any Greek Cypriots to interview in the village; however he was reluctant to do so. Dimitri looked at me and smiled. “Tell me” he said. So I asked him the question in English. “Yes, my you can interview my mother!” he said, and called her to let her know that we would be visiting. He then drew me a map of how to find her house. We left straight away! 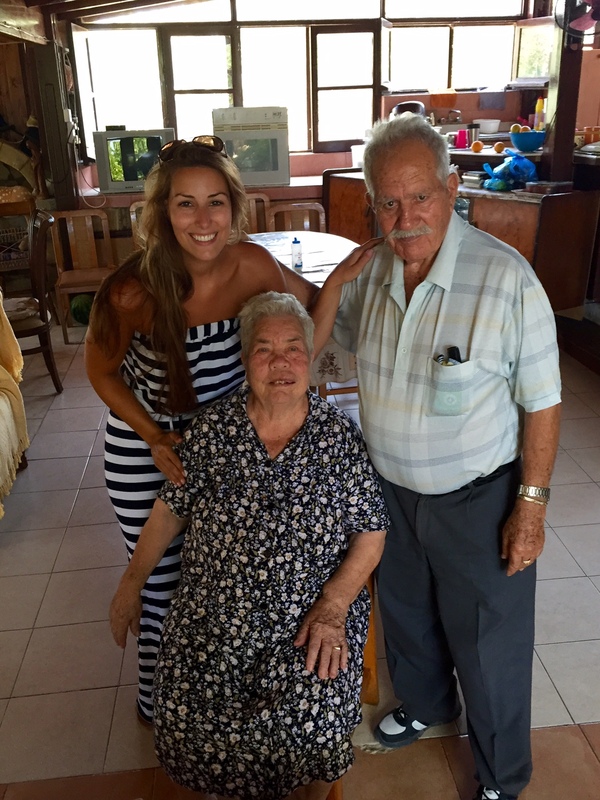 As we arrived at her house we saw an open door with an elderly man having a siesta. We entered another room and found Paraskivou there, she woke her husband up and then we sat down to do the interview. Paraskivou looked at us and said, “The aspro (white) and the mavri (black)” – referring to James and I. Then she fed us! Paraskivou was born in 1936 in Prothromi, a village next to Polis Chrysochous. She embraces the same identity that she felt as a child, that of being a Cypriot. Paraskivou does not identify with mainland Greece, nor is she very religious, so she maintains a national identity over an ethnic or religious one. She would talk to her Turkish Cypriot friends at the well frequently, and her husband was the Koumbaro for a Turkish Cypriot friend, “he paid for the party on the Monday”. Back then, Cypriot weddings would go for three days, Saturday through to Monday. Monday traditionally was the day when the koumbaroi would pay for the party. Paraskivou was the milk mother to a Turkish Cypriot child, “I was her second mother, and relations were not just through blood, but through milk also”. Her milk child now lives in England, and visits her in Cyprus regularly. They love each other very much. Paraskivou had only attended school for one week when her mother fell ill. That was the extent of her education. 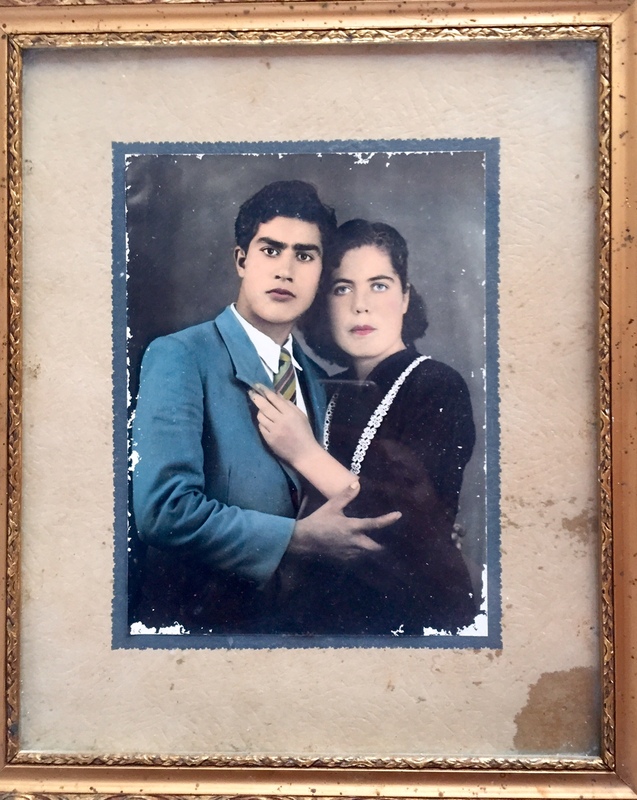 Once she was a little older, Paraskivou worked in the fields where she and her Turkish- and Greek-Cypriot friends would sing and entertain each other. They had very close bonds. “My Aunty married a Muslim, she became Muslim but three of the children were baptised Orthodox Christian and the other three stayed Muslim”. I found this story, which took place before the war, absolutely fascinating. “When the Turkish Cypriots left the village it was very hard, I lost all of my neighbours and friends. It was like my family was split”. 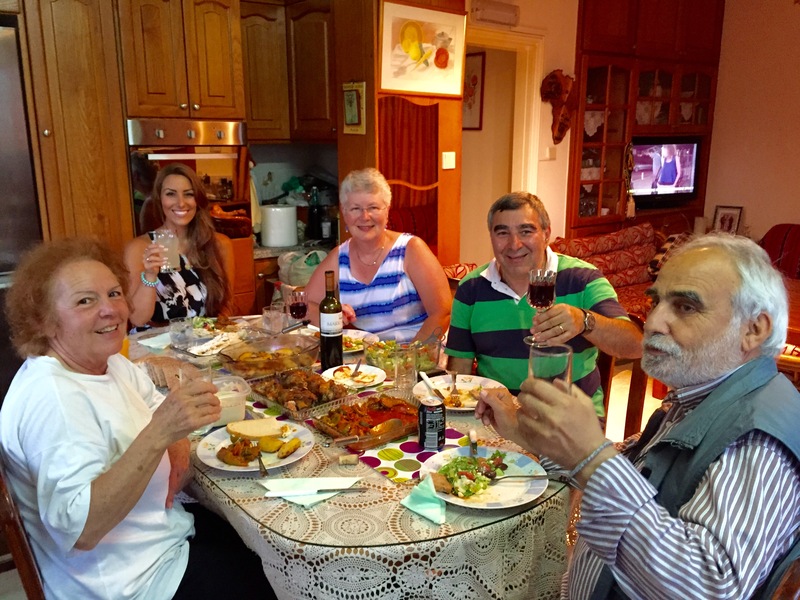 Paraskivou has many Turkish Cypriot friends who, since the border opened in 2003, still come to visit her, and “they light a candle in the church each time they visit”. Your Yiaya mıght have known my fathers family . The Karabardaks were a very large famıly of Polis. Lovely article enjoyed the story thanks.